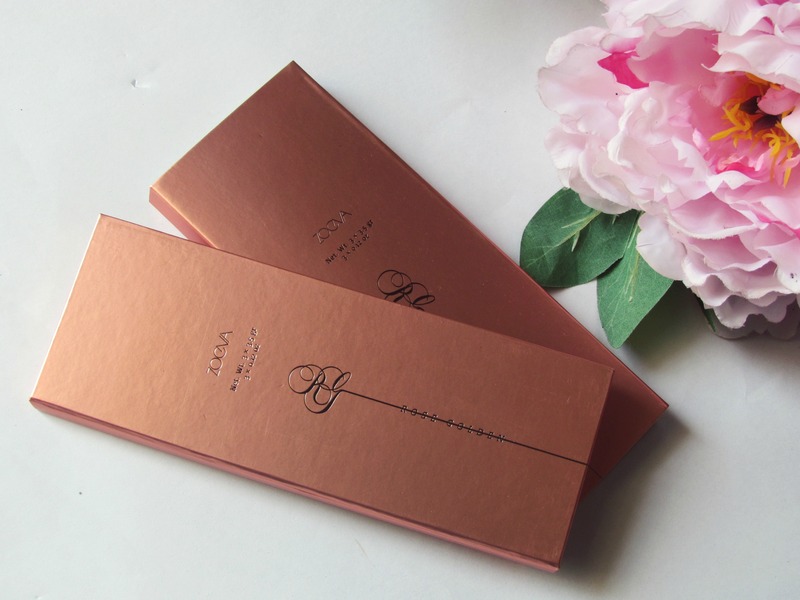 Emerged from a world of opulence, the precious ZOEVA Rose Golden Blush Palette features a luxuriously coordinated trio of a velvety blush, a luminous highlighter and a magnificent contouring shade to professionally sculpt the face and brighten the skin complexion. When I say “Rose Golden blush palette” – It means it has a rose gold packaging and it contains a bronzer, a highlighter and a blush. I wouldn’t say it as a universally flattering palette as it claims. It suits fair-medium skintones the best. if you are above NC44 in MAC, you might not be a fan of these shades. Packaging – Packaging is quite compact. 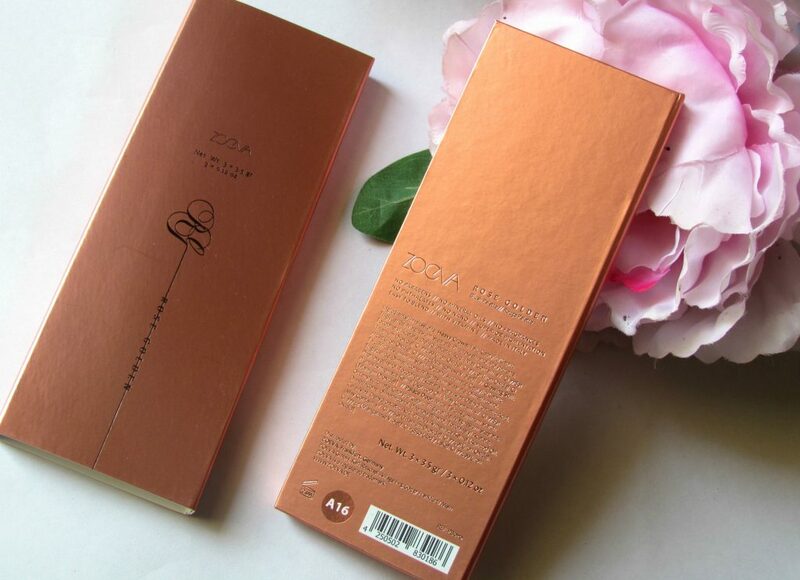 It has a cardboard packaging with a satin rose gold color; beautiful packaging! and it comes without a mirror. How I wish it had one! 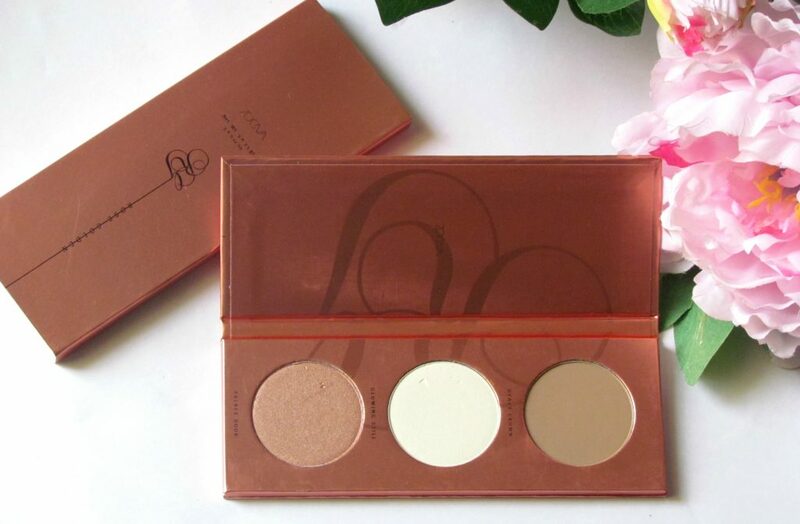 The palette is light-weight and is very slim..The pans are of decent size making it easy for you to swirl your makeup brush on your desired shade without touching other shades. Shades – The palette contains a rose-gold blush, a stunning white highlighter with gold reflects and a cool-toned taupe contour shade. Heavy Crown – A matte taupe/chocolate brown shade perfect for light-medium skin tones. It’s not a warm shade. It’s more cool toned. 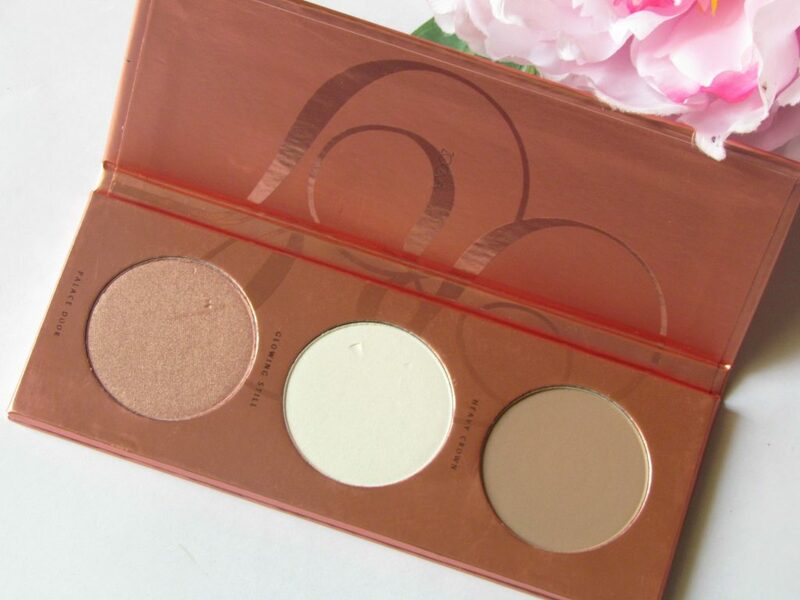 I use it to lightly contour my face and the color payoff is not very great for this shade. I had to layer it multiple times to get the desired intensity, I also found it difficult to blend. Too Faced Cocoa contour shade is similar to this one. 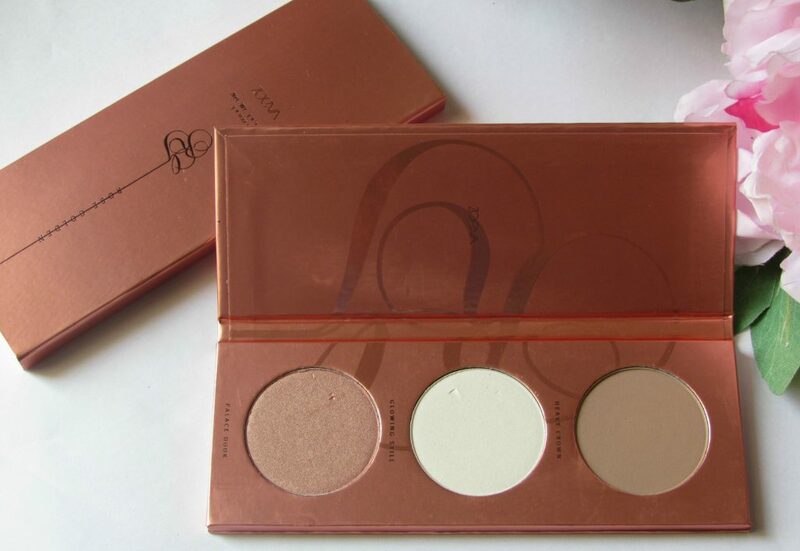 If you have light-medium skintone, You will love this for contouring. 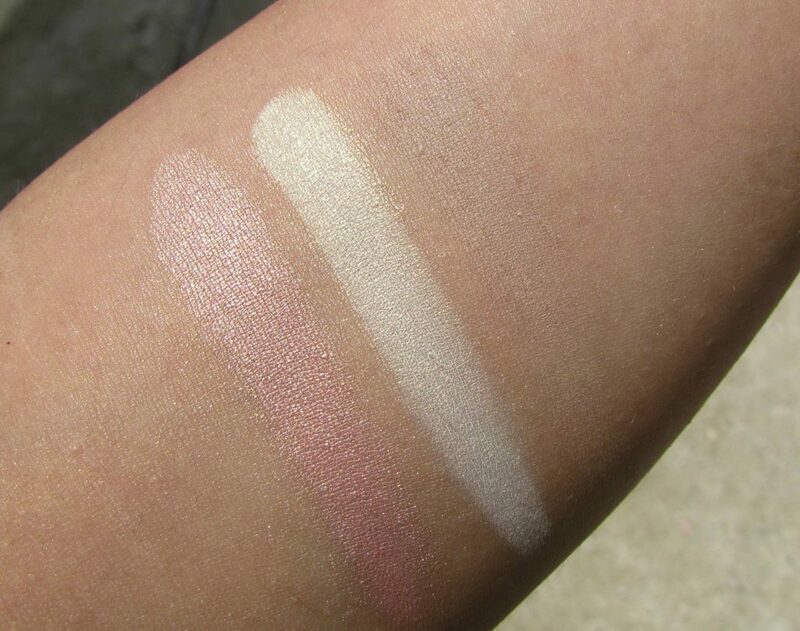 For warmer skintones like mine, it’s kind of difficult to blend and the color won’t show up once u apply. you need several brush strokes to get the color. Glowing Still – If you have used NARS Albatross, you are going to love this shade. It has gold reflects and yellow sheen to it. It’s perfect for a party/night time look. I feel, this highlighter works best on warmer skintones. 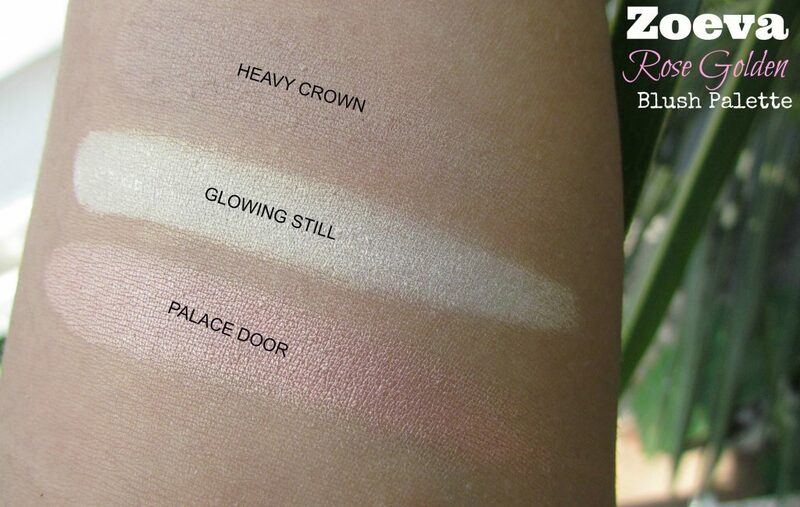 Palace Door – This classic rose gold blush is super flattering on every skintone. 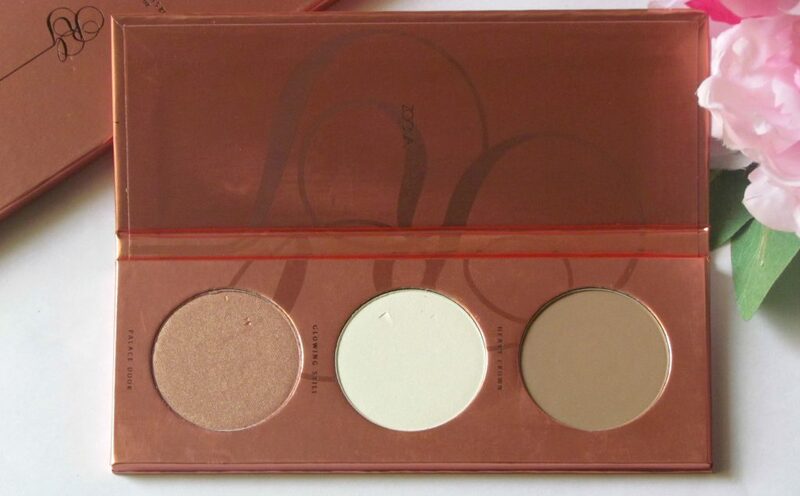 It looks very shimmery in the pan, But leaves a subtle glow when used. I would say this shade is a multi-tasking shade. I love to use it on my eyelids as well. It’s a shade similar to Sleek Rose Gold blush. I love it!! My most favorite shade from this palette. 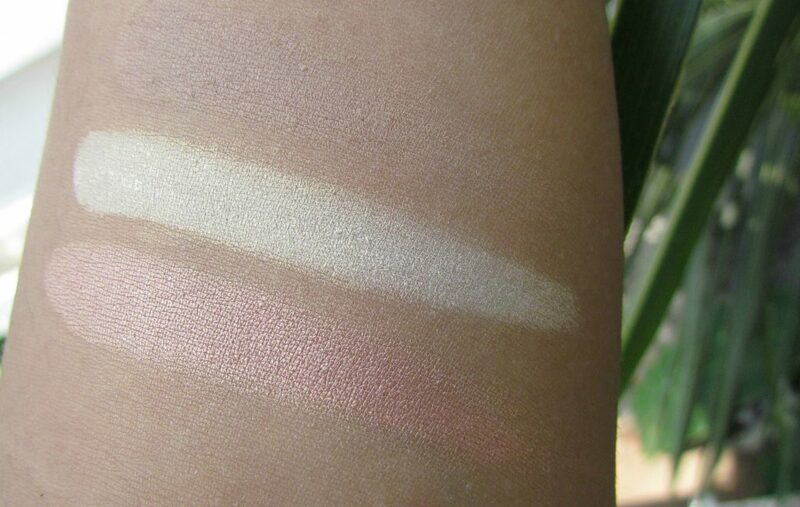 I have included the swatches in different lighting. In the swatches below on my hands, these look more intense. When you blend it , the shade blurs and you get the desired shade. 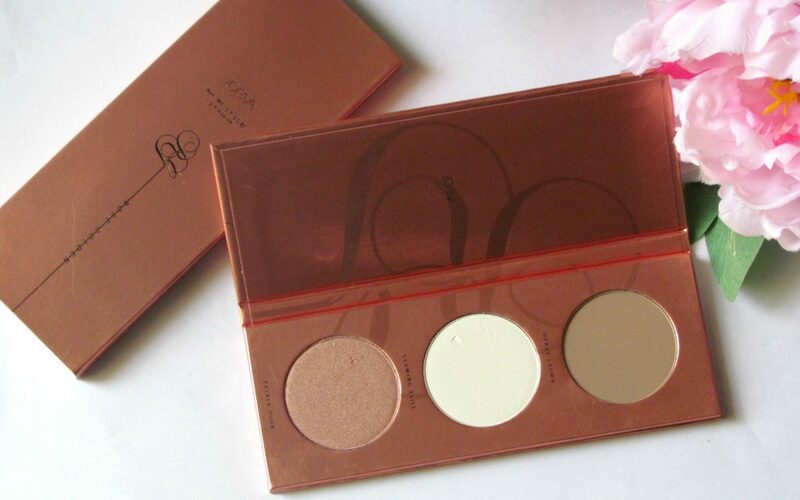 Overall this is a great value palette, easy to carry around with a really beautiful blush & highlighter. Bronzer is a let down . It’s a shame that it it won’t work for medium-dark skintones. If you like the other two shades it’s probably still worth buying. I love the shades except heavy crown. ‘heavy crown’ almost vanishes on my face when applied. 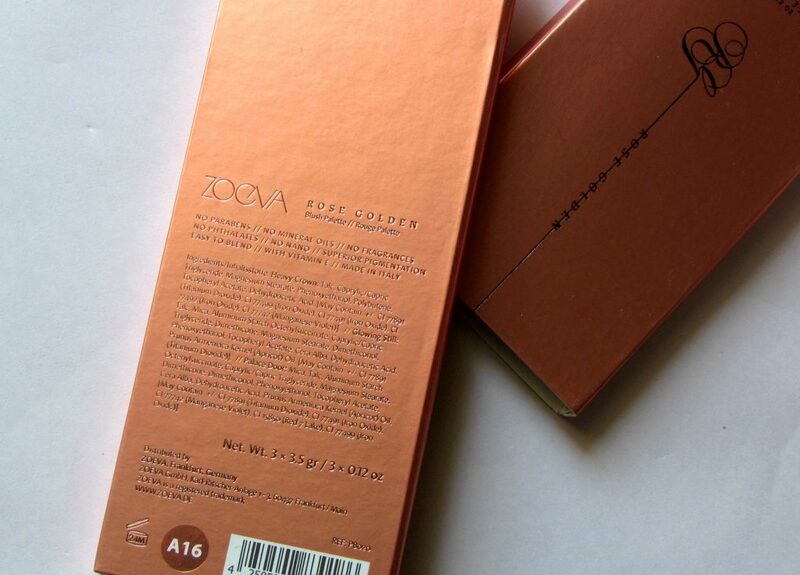 Zoeva Rose Golden Blush Palette retails for €14.80 or $ USD 20.80 and can be purchased from the Zoeva Website here. 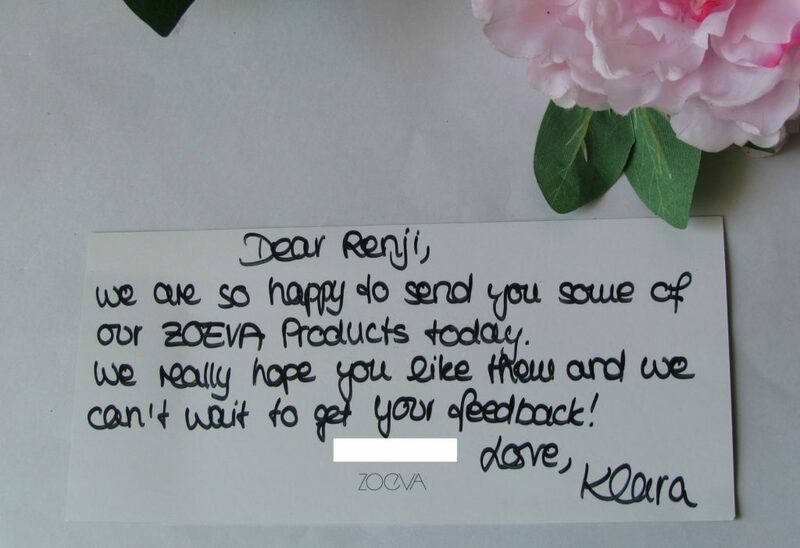 Zoeva ships worldwide and accepts paypal too. Do you own this palette? What are your thoughts? I’ve never used Zoeva products, this one looks worthy though.